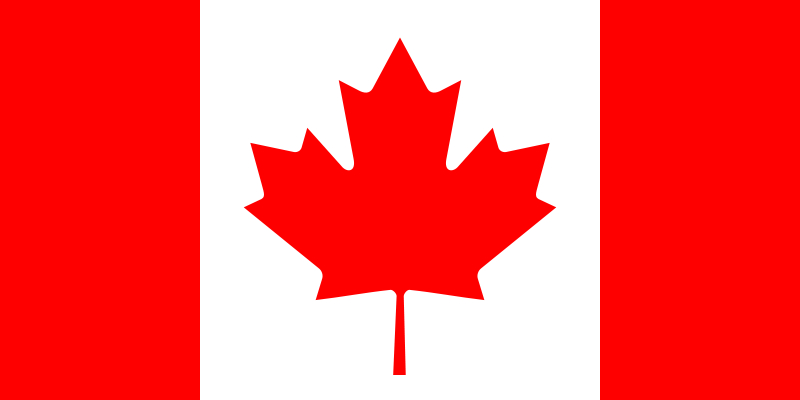 Since today is Canada Day, I figured I should either do a post that has to do with this great country, or at the very least re-post the blog I did last year on this day. Last year's blog it is! A new blog post continuing the "Sandra's Garden" theme will be coming shortly. 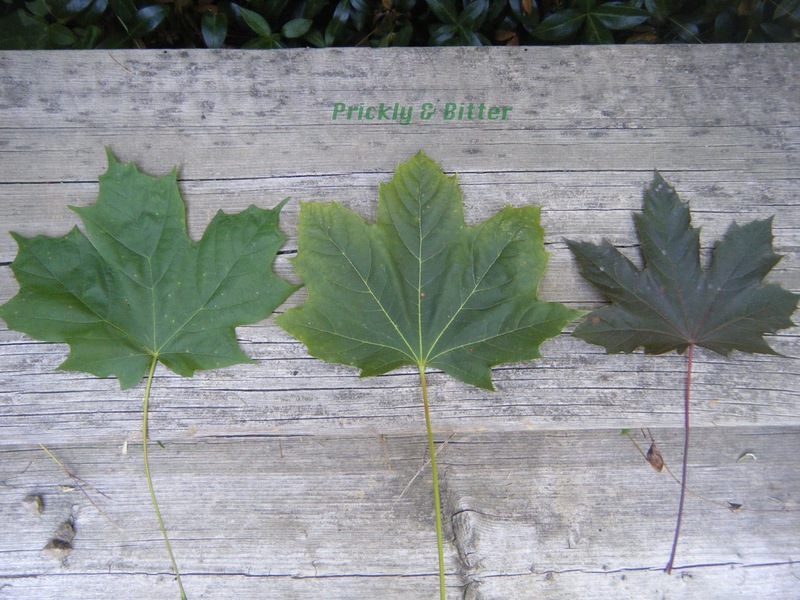 To keep you tied over until then, enjoy this post from Canada Day last year about the differences between sugar maples (our National tree) and Norway maples (an invasive species). 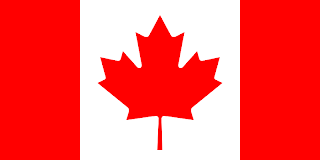 Happy Dominion Day! Since one of these trees is native and the other is not, and there's a reason why one would be featured more prominently over the other on a wonderful day such as today, I put up the photo for a native species. 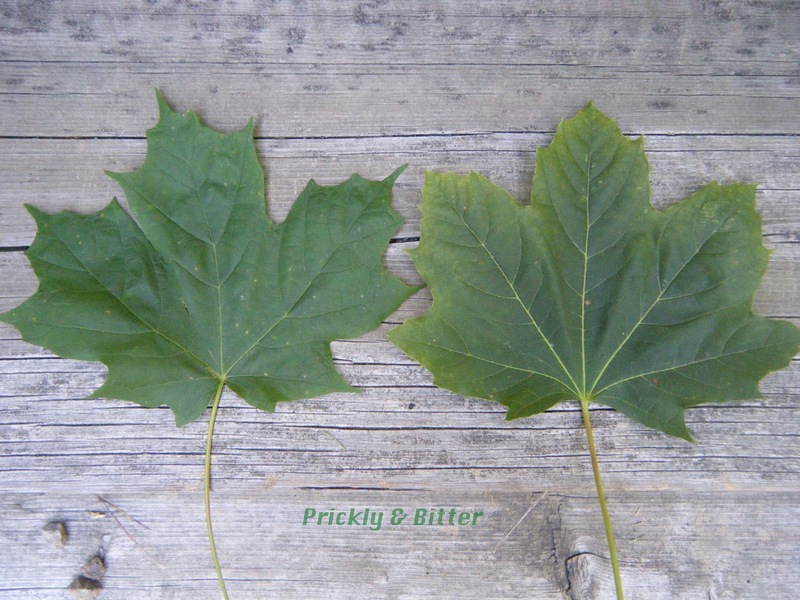 Since today is Canada Day, I figured I should probably feature our national tree, the one proudly flown every day on our flag, the sugar maple (a species that I didn't quite do justice to in this blog post). Unfortunately, the Norway maple has become almost as common as the sugar maple in Canada (if not more common in some areas) because it is, for some obscure reason, planted in preference over our native species. Perhaps it's because it doesn't succumb to the native sugar maple pests that we have, but it was also the reason why we have periodic outbreaks of the Asian longhorned beetle, its primary pest, which is decimating forests across the country. The other downside of the Norway maple is that it produces phytochemicals from its roots that deter understory growth (including grass, if you choose to plant one in your front yard), and when fully mature it can inhibit the growth of native species of trees and shrubs in a forest to such an extent that you sometimes find "Norway maple oases" where nothing else exists. 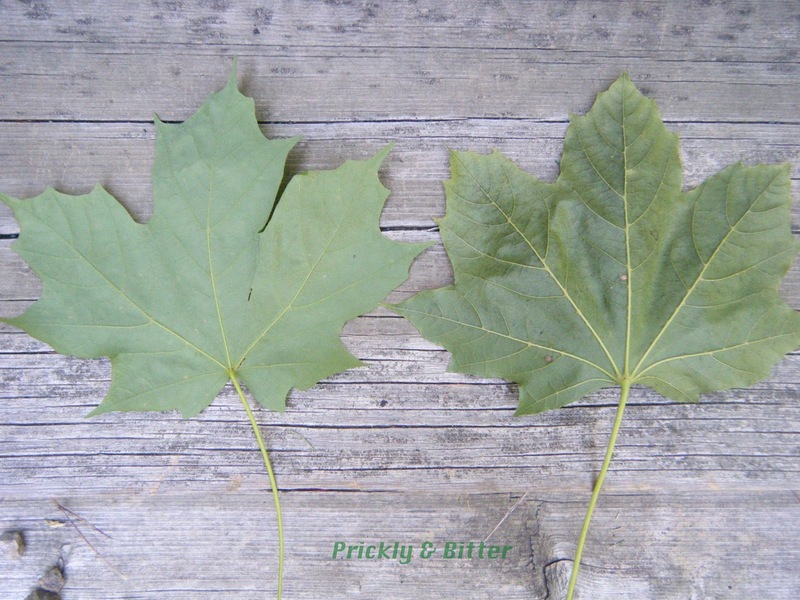 So how can you tell the difference between a native sugar maple and an invasive, non-native Norway maple? The key is in the leaves. First, if you've got a purple maple tree in your front yard you've got a Norway maple. Sugar maples have never been bred to have purple leaves, so that's a great place to start to be able to stay away from the Norway maple. Second, take a look at the lobes of the leaf, specifically the top lobe. Does it have deep groves running almost halfway down the leaf, separating the top lobe from the ones on each side of it? Or is the lobe very shallowly separated from the rest of the leaf? 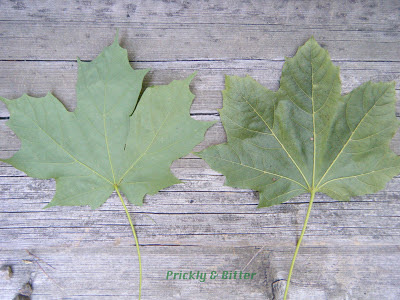 Shallow lobes are Norway maple leaves, deep lobes are sugar maple leaves. If you look at the second picture (sugar maple on the left, Norway maple on the right), you can also see that when you compare them side-by-side the number of teeth along the leaf's edge also differs quite a bit; the Norway maple has quite a few more teeth along each lobe where the sugar maple doesn't. Third, take a look at where the petiole (or the "leaf stalk") branches off into the main veins of the leaf. Are these veins approximately the same colour as the tissue of the leaf, or is there a drastic difference in colour? As in the third picture, veins roughly the same colour as the leaf is seen in the sugar maple, drastically different leaf main vein colouring is characteristic of the Norway maple. 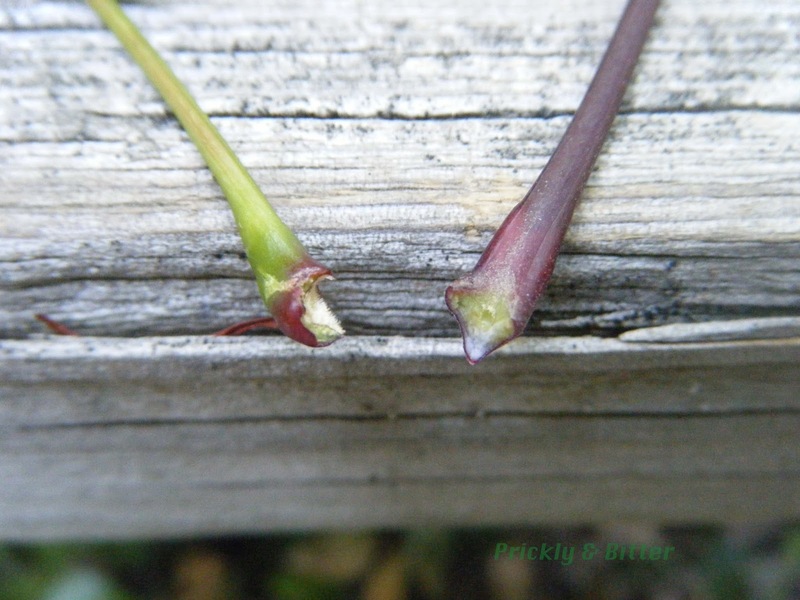 The last and most easy method for telling the two species apart is by breaking a leaf off the stem and looking to see what happens. Is there a white milky latex that oozes out of the petiole? Or is the base of the petiole dry? The Norway maple is the one producing latex, the sugar maple doesn't (and that latex can be irritating to the skin, so be careful! ).